It’s no surprise that plastic bags are a horrible plague for our environment. You don’t have to look very far to hear stories about wildlife and oceanlife dying because they’ve eaten plastic bags. I know they’re convenient and some people really do reuse them a lot and then recycle them. But the truth is that their existence just isn’t doing the earth any good. I LOVE this essay by Adrian Grenier about how plastic is polluting our oceans and how we need to take a stand! I have a few reusable bags in the closets by my front and back door, and a few stashed in the trunk of my car. This makes it a lot easier to remember to have them on hand when I go shopping. Because I know. It is more convenient to accept plastic bags. I totally get that. It IS a shift in the way you think and the way you go about your day-to-day. But it’s worth it! 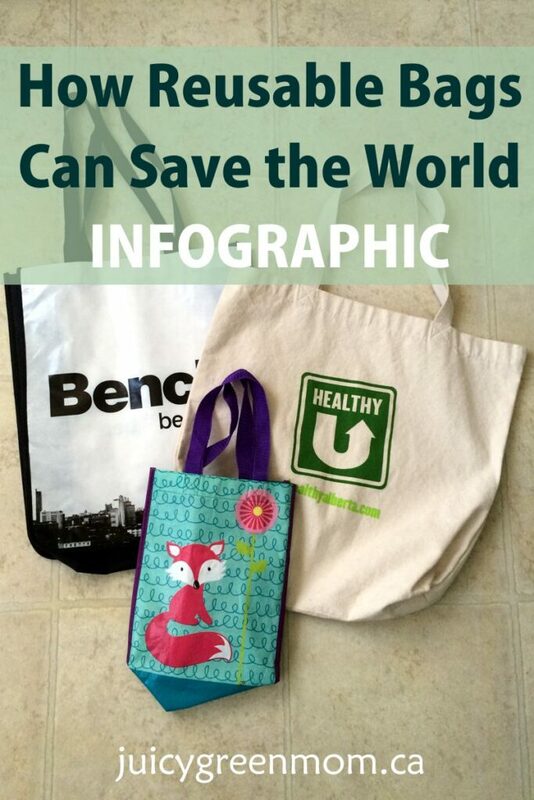 HALO has put together this infographic about how reusable bags can make a difference, and how companies and brands should consider making the switch away from polluting plastic bags.